Finding and retaining top leadership can be a game changer for any organization. When time, complexity and confidentiality are critical, clients and candidates alike turn to PrincetonOne’s Executive Search division. We provide you with the best of both worlds: the intimacy and personal touch of a small, specialized boutique, coupled with the powerful resources of a national recruiting firm. 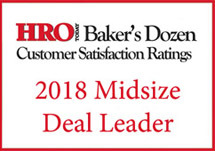 Comprised of key managing partners, managing directors and strategic account directors, our team is rounded out by a staff of dedicated researchers and recruiters. Constant engagement, clear communication and a personal touch are just a few of the reasons why our clients rely on us as trusted advisors to determine exactly what they are looking for in a candidate profile and why. Our commitment to strong client partnerships allows us to truly understand your business and human capital challenges. Working directly with your hiring executives and human resource business partners, we gain a detailed understanding of the roles you’re trying to fill, enabling us to identify a slate of the most qualified candidates that fit well with your company culture and have the background, experience and competencies to be successful in the role. We are fully engaged and provide a high touch level of service in every aspect of the process, from defining the search through candidate onboarding. Listening to all of the dynamics involved in the retained recruiting process helps us ensure that everyone—from your top executives to the head of your human resources department—is on the same page. The result of our singular dedication is an extremely high success rate for our clients. Our reduced time to hire is driven by our refined process and existing candidate relationships, as well as our collaboration and cooperation with our clients. At PrincetonOne, our executive search team is comprised of individuals who truly understand the needs and complexities of recruiting top-level leadership. 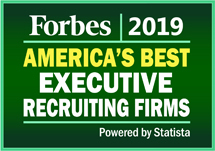 A balance of executive experience and recruiting expertise allows us to find and place the most outstanding candidates. No search is perhaps more complex or more critical than the search for executive leadership. We have a long established reputation of helping organizations find and place exceptional leaders.